Chou: We were really inspired to present something even more exciting and beautiful. The design is so pure and honest. Seeing some crazy brushed metal going on on this phone. HTC is really doubling down on the metal design here. This phone seems to be a real looker! 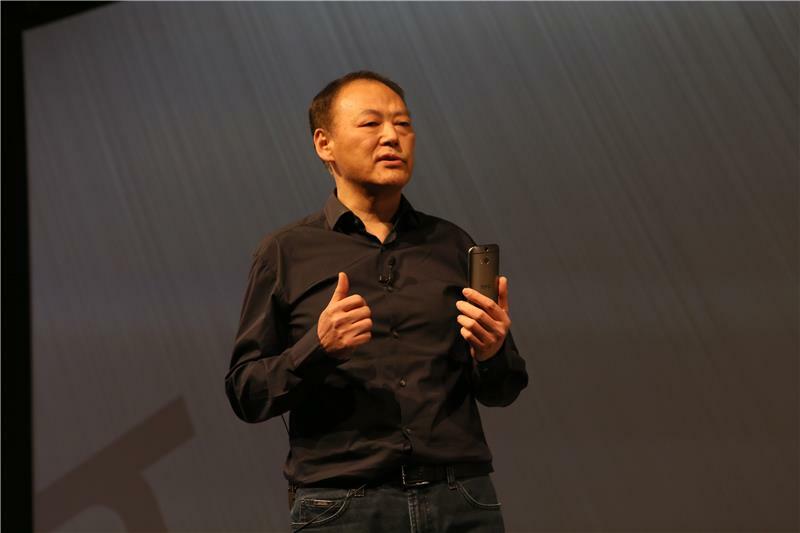 Chou: It's really hard to make a phone out of metal. 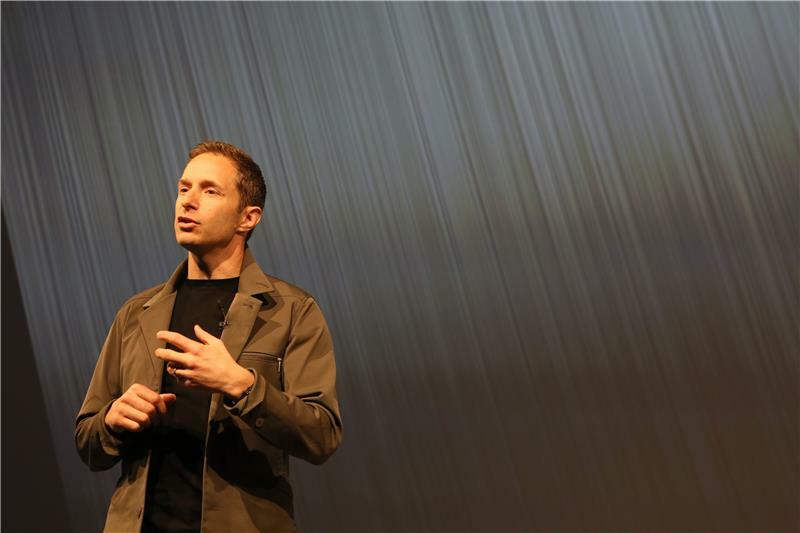 This phone has 10 super sensitive antennas, and metal can interfere with that. That's why our competitors still use so much plastic. We insist on giving you the best quality possible. We have developed this breakthrough process that can integrate the sensitive antennas with this metal construction. 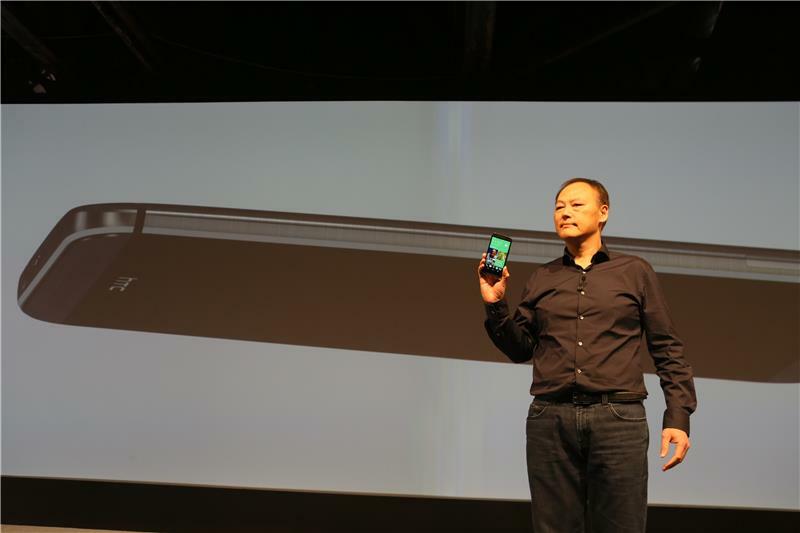 Chou: To make HTC M8 even more premium feeling, we have developed another brand new process to create this stunning finish with this rough hairline texture. How create this metal finish. Chou: this is something we're really proud of here. It's very hard to do on a curve. This is another example of our obsessive detail to attention. 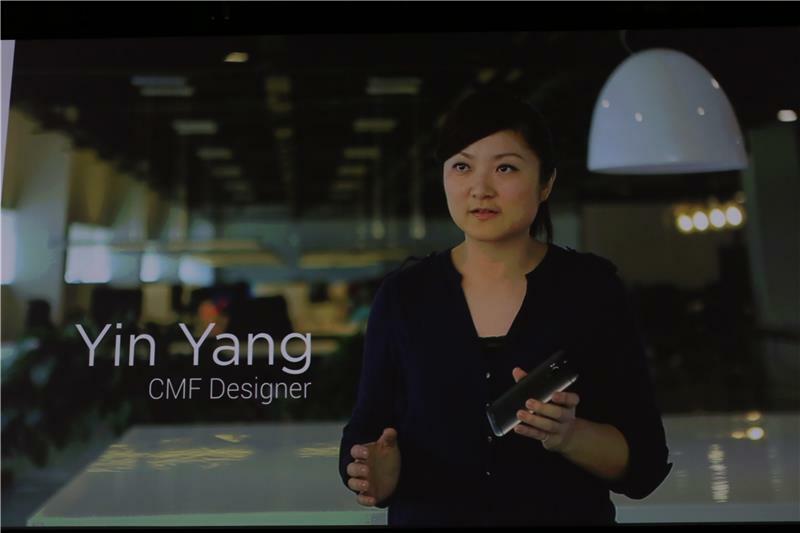 Yep, the HTC One M8 Chou is holding uses a slick brushed metal hairline motif. Nice. 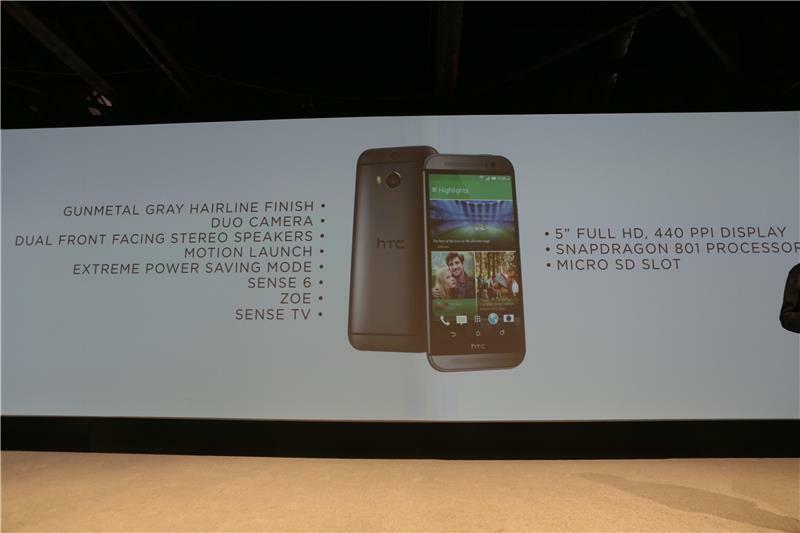 Chou: Of course, the HTC M8 has the latest, greatest technology that you would expect from us. Not only is this phone powerful, it's also very smart. Advanced sensor hub means the phone is aware of its environment so it can anticipate what you might want to do. Like a sixth sense. 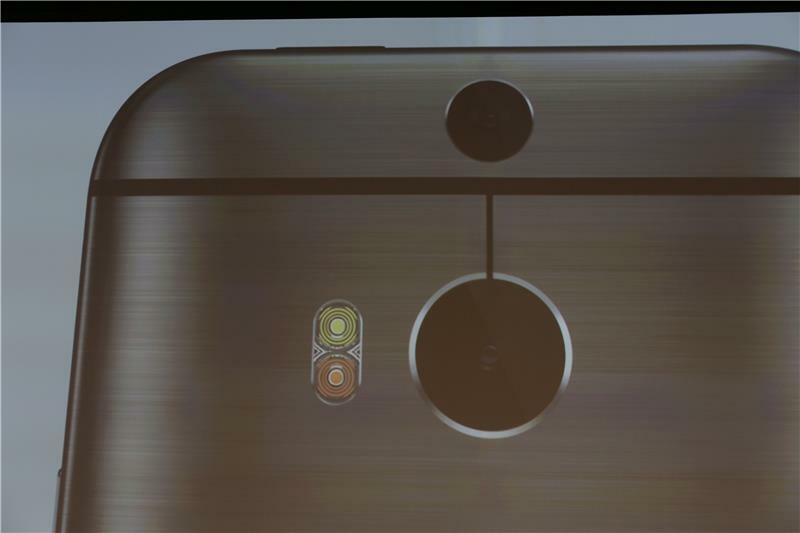 Dual cameras on the HTC One M8...and dual flash array. 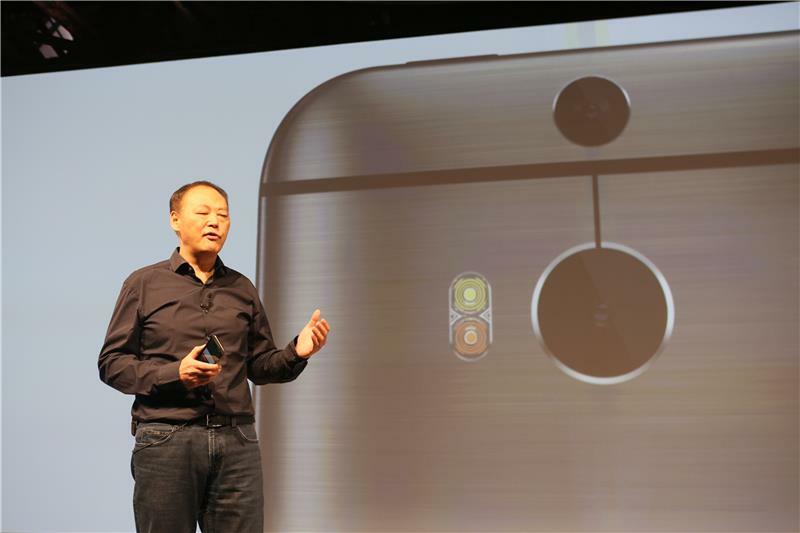 Chou: You have probably already noticed another distinctive feature, this iconic dual camera. For the first time on a smartphone, this dual camera catpures true depth information of photos. Opens up amazing possiblities. Enable you to take beautiful and real looking photos. Another breakthrough of what a smartphone can do. We're so proud of this dual camera. 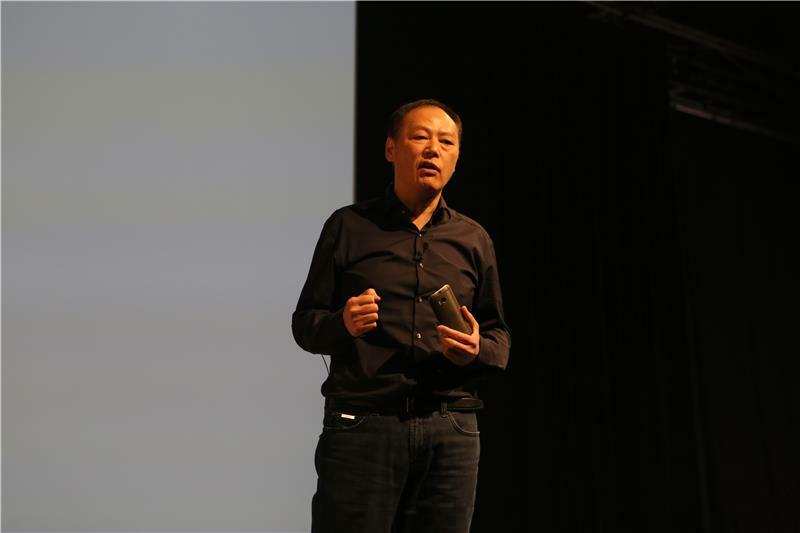 Chou: You don't have to mess with a separate app that settles for software simulation. 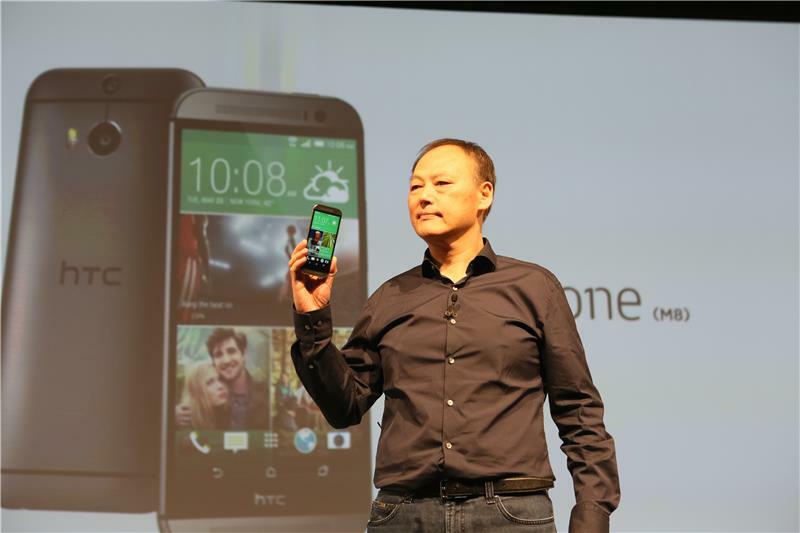 Chou: HTC One M8 delivers breakthroughs in every way. So no special mode to use the dual camera and depth sensor lens. HTC feels that'll encourage people to use the feature more. 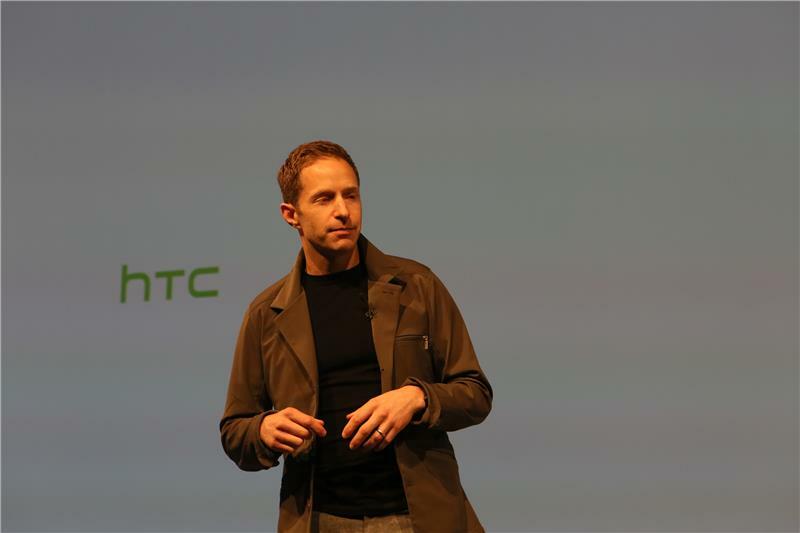 Becker: At HTC, we are passionate about design. We design for those exceptional people who think for themeslves. Like them, we plot our own path. 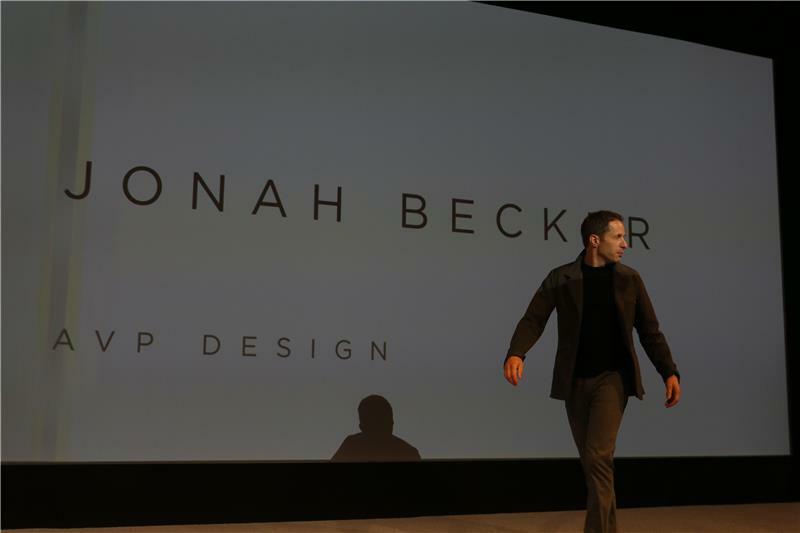 Becker: We strive to create beauty. For HTC One M8, driven by challenge to take what was great and make even greater. Becker: Stunning design, yet another breakthrough camera. Joe Becker's clothing looks very well designed, I can confirm that for sure. 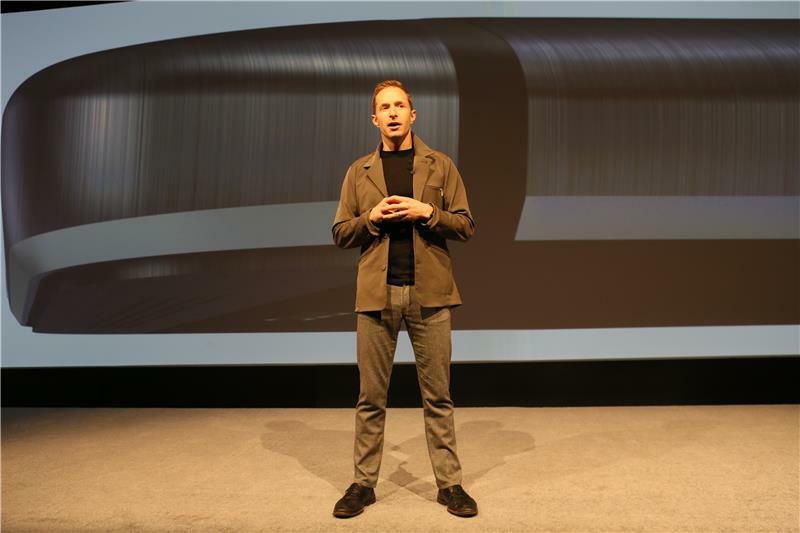 Becker: The result is a phone that feels premium yet approachable. We're also known for pushing the boundaries on innovative finishes. Polished metal to stunning near finish and then brushed texture. Very hard. Failed many times before got it right. Result is more akin to jewelry. 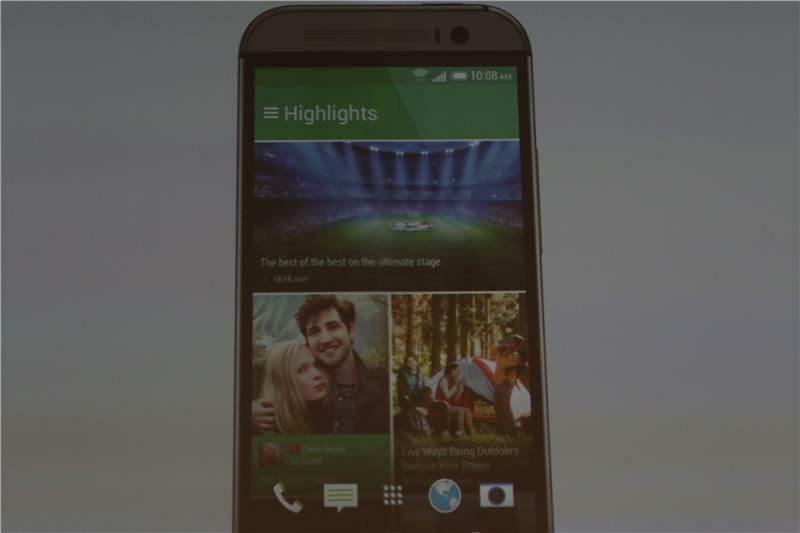 The new HTC One M8 is going for a premium yet approachable design. We've not got another video talking about design. There's no arguing that this is one heck of a lovely phone. I just hope the camera takes quality images. Video is showing how the metal hardware is created.